Amol Choudhari & Associates, one of the leading interior designers and architects in Nashik has chosen BuildTrack for one of its clients Viraj Estates. Viraj Estates has been in the real estate world since years. 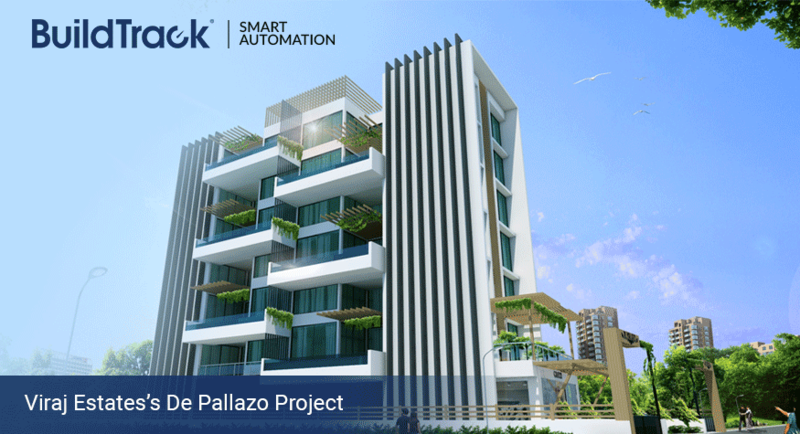 De Pallazo is one of the upcoming projects by Viraj Estates in Nashik where BuildTrack solutions are planned to be installed. Reaching six storey’s above the ground with every floor housing a single luxurious 4bhk apartment, this exclusive living space has been formed with a careful thought incorporating maximum daylight penetration, views, security and promote a green as well as sustainable urban lifestyle. Automation solutions suggested for the apartment includes: Remotes for lighting control, safety security sensors and also control of entire apartment on smartphone or tablet.